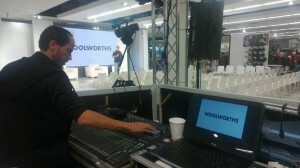 AV Direct assisted in the technical stage design for the Woolworths Summer launch 2013. 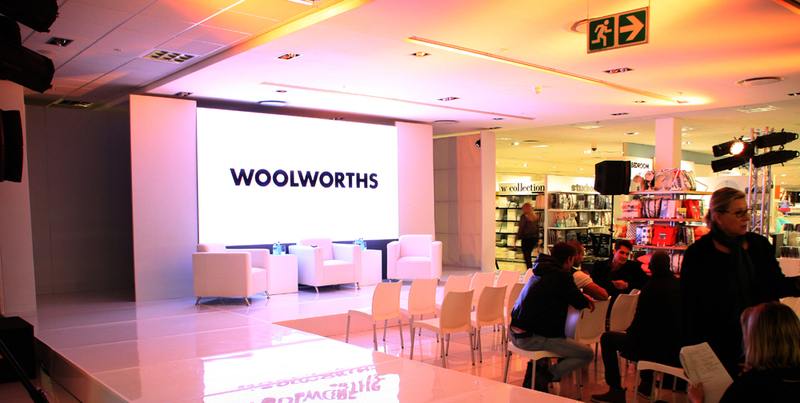 Taking place in two venues across South Africa, namely the Tygervalley store in Cape Town and the Clearwater Mall store in Johannesburg, this event was sure to attract all the shoppers as Woolworths displayed their brightest and best in retail fashion! 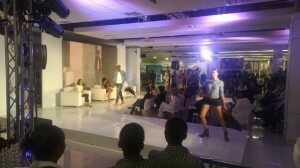 For all the fashion, glamour and glitz there is always going to be hours of work put in by all parties involved. This was exactly the case, as the two shows were approved and AV Direct came on board as the technical supplier, we went straight to work in manufacturing over 740 square meters of fabricated frames for the set backdrop and surround. Two 4m x 3m LED Screens were sourced and 36 profile spotlights were serviced for the event which included over a 200ft of staging for the runway. 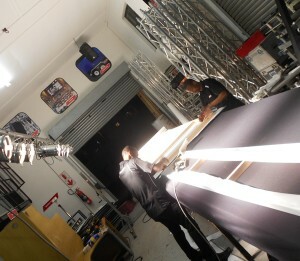 The 6mm virtual pitch LEDs are some of the highest resolution large format LED screens in South Africa. Ipads and wireless networks were set up with Google Docs for the registration process which included 15 operators at the launch. The set design required precise measurements to fit perfectly into the respective stores. 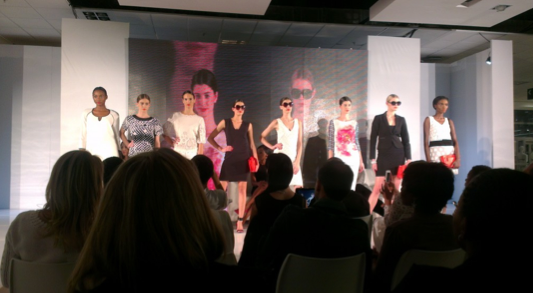 Beautiful white gloss sheeting was used to cover the stage and set frames. Some lovely white soft white couches and plinths gave the stage a real neat look and we were ready for the models to light up the show. Combine this beautiful sight with powerful audio and you have a show with real attitude polished off with style. An event that will have everyone involved delighted at the result after all the excellent work delivered. We were lucky to find some really great photo’s for this event from these two blogs. Go on and give them a read!